There isn't any question that the current trends in marketing, especially online marketing, are centered around "influence." And most marketing, advertising, and social media firms (and certainly online influence algorithms) are all looking at the same measure — that influence can somehow be tied to reach (the number of people exposed to a message), which is directly dependent upon how willing people are to share it. A recent study by The New York Times paints a different picture. Sharing is not as tied to influence as marketers think. There are a gambit of reasons, and influence and/or persuasion is one of the least important. Maybe marketers have it wrong. Highlights from The New York Times Study. • 94 percent carefully consider if the information they share will be useful to the recipient. • 84 percent share information any time it supports a cause or an issue they care about. • 83 percent say reading other people's responses helps them understand and process better. • 73 percent share information because it helps them connect to people with similar interests. • 69 percent say they share because it helps them feel more connected to the world around them. • 68 percent share because they want to give others a better sense of who they are. • 49 percent say that sharing allows them to potentially change opinions and encourage action. While 49 percent is still significant, promoting action (which marketers have defined as a key component of influence) is a low priority in terms of what people choose to share. It makes sense. Nobody is trying to influence the world by sharing cat videos and bacon jokes. And those who share such things are generally not working to become "influential." More than likely, they like cats or bacon or the humor often associated with pics and videos about those subjects. Sometimes, people share for other reasons too. It could be something even simpler; they want to associate with or get the attention of the person sharing the content. In The New York Times study, they miss the point of their own research by tying sharing to influence (specifically, how to influence sharing) despite discovering the varied reasons for sharing in the first place. And it seems to me that attempting to turn sharing into a tactical game really misses the point. Specifically, the study suggests appealing to audience motivations, keeping it simple, appealing to humor, earning trust, and making it urgent all increas the likelihood of shared content. However, at the same time, we have to wonder if consumers are misapplying their trust in marketers attempting to piggyback their message on what people really do care about. Maybe. But more importantly, is a masquerade true influence? 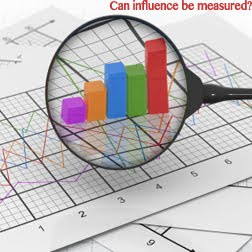 Influence is especially complicated; much more than marketers think. One recent image that caught some attention was the new Google brand shoes. Their colorful, creative, shoe image generated a significant amount of interest. In looking at the people who shared the same visual, however, it became clear why the shoe pic was being shared. • Some people thought they were cool. • Some people thought they were ugly. • Some people like or have an interest in Nike. • Some people like or have an interest in Google. • Some people liked the last person to share them. • Some people have an interest in fashion stories. • Some people just like shoes; they could have had any logo. • Some people wanted to capitalize on the fact Google+ was trending. • Some people have an expressed interest in search, social media, and technology. The list goes on. There are more than two dozens other reasons for the shoe pic being shared, which begs the question: how does any of it tie to influence? And even if it did tie to influence, is that influence related to the shoe? Google? Nike? High-tops in general? Or maybe the person who shared it, without any consideration of why they shared it? What about other factors? Does it matter what kind of mood they are in when they first saw the image? What they had for breakfast? How their love life is working out? What kind of personality they have? Because they set some quota about sharing X number of a things at noon, every day? And to what end does any of this even matter? Sometimes if you want to move forward you have to look back. Since the adoption of social media, generally, and social networks, specifically, people started sharing much more than they ever had before. And as the study revealed, they share more because their audience has expanded from the five people who used to gather around the water cooler. And yet, it's the water cooler that marketers need to think about about when it comes to sharing, because none of what was shared around that watering hole ever made anyone appear influential. Not really; maybe sometimes. The simple truth of the matter is that real influence doesn't take place at the sharing stage. It happens on a much deeper level, much like real advertising happens at a much deeper level. Anyone can create an advertisement that entices people to notice it, but not everyone can create an advertisement that resonates with people. Likewise, you can share anything you want and convince people to share it. But actually having them adopt your view, lock step with no questions asked, is real influence. And when you consider everything that has to be just right to make that happen, it becomes pretty clear that even true influence is subject to hundreds of different things beyond the control of the influencer. So maybe, just maybe, there is only one question you need to ask any marketer or social media expert who claims to be able to influence the masses online. Ask them about parenting. If they struggle with getting their children to watch an hour less of television, to eat their spinach, to get straight As, to brush their teeth between meals, etc. — then they know as much about influence as you do — almost nothing. Much like The New York Times study, which has some interesting findings but equally silly conclusions.